If I did not buy the Fit, and could not afford the much more expensive Mazda3, I would have considered the Nissan Versa Note. For 2018 they seem to have the Nissan Kicks, a competitor to the HRV. In looking at the specs it is clear this does not compete with the Fit. 1.6L, 125 hp, CVT. Trunk space is 716 litres of room rear seats up and 915 litres with rear seats down, vs the Fit's 470L/1492L. 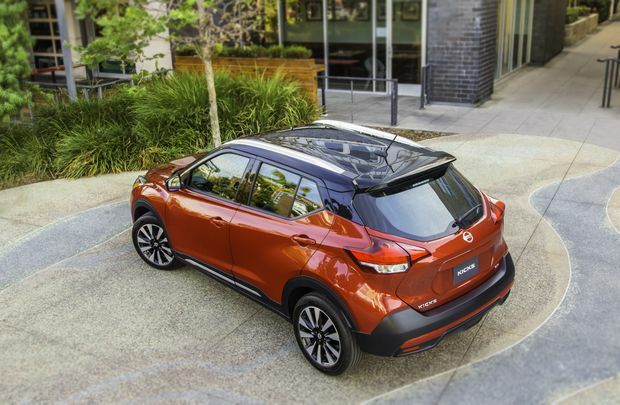 The vehicle is longer, but with the rear seats down the Fit has over 30% more space. That is a big difference. The pricing is similar to the HRV. Fuel economy is..meh. Though I have not driven it, the Nissan Kicks seems nice enough, but for me this is not a Fit contender but an HRV alternative. says cross over. different type of vehicle no? Different type of vehicle yes. That's barely lifted. Only 2WD. OEMs have figured out that Americans won't buy hatchbacks ... unless they paint the lower 3 inches black and call it an SUV in the marketing materials.